Part of the show Do Metal Spinal Implants Lure Lightning? If a lobster is taken out of water and can breathe, does it drown after going back into water? Sarah - The simple answer is no. Lobsters have evolved to live in water. They exchange gases through their gills and they will actually die if they are out of water for too long, but they will actually survive for a small amount of time. Their close relatives, crabs, can actually survive out of water for a bit longer, although if you take a fish out of water, it will die because it will essentially suffocate. When they're in water, their gills extract oxygen from the water, but when you take them out, the surface tension of the water makes the gills collapse, so they can't function, they can't get the oxygen out of the water. Now some fish do actually have adaptations for air breathing, like lung fish, if they live in places like rivers that periodically dry up they need to be able to deal with that. The reason that crabs, and to a certain extent lobsters but not as much as crabs, can actually survive in air for a time, is that they hold their gills in cavities on the undersides of their bodies. They don't actually breath air. They're still using their gills, but they've found a way of keeping them supported and moist, which is the most important thing. There's actually a species of crab called a coconut crab and they've evolved something called a brancheostegal lung which is a spongy tissue, like a cross between gills and lungs, which still need to be kept moistened, but they will actually exchange gas with the air. 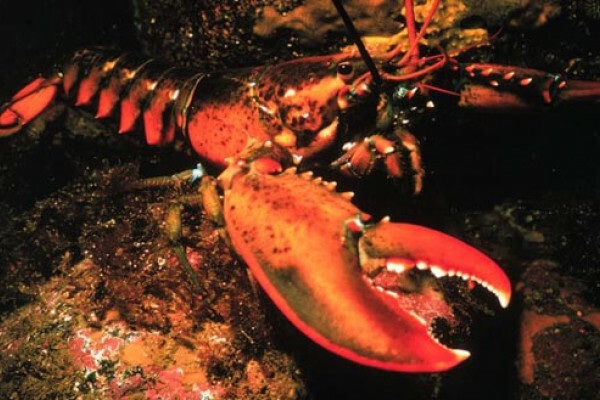 Lobsters do also have gills in chambers, but they still require water. So they will survive in air as long as their gills are kept wet. They also have something called the gill bailer which has the best name - it's called a scaphognathite which helps to keep water moving across the gills. So, they will suffocate if they're on air, but they will not drown in water. Previous What would happen to the bubbles in a fizzy drink at zero-g? Next Why does a bump on the head make you see stars? Why are there no lobsters in the Pacific?